We hadn’t seen much of the poncho since the early 90’s – that is until it came back fighting 2 years ago. This season it continues to be a key look and is perfect for transitional seasons. 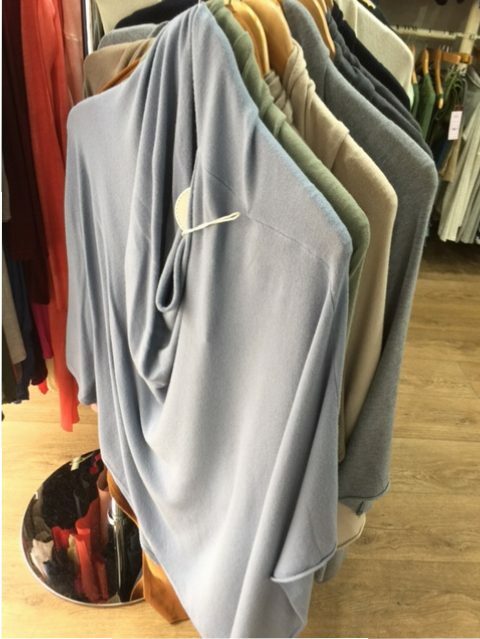 The Edit has several versions including a lovely chunky waffle cotton knit from Garcia at £50 and a super-soft smooth knit version at only £39. With over seven colour options to choose from, everyone should have at least one of these useful garments in their wardrobe.